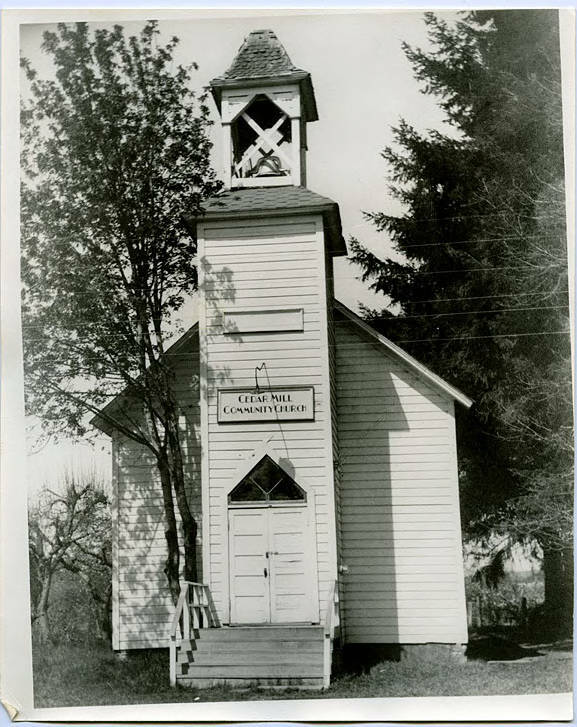 Black and white image of a wooden church building in the Carpenter gothic style. Built in 1892 for the local Methodist Episcopal congregation, the building was known as 'Wesley Chapel.' Home to a Methodist congregation for forty years, it was later leased to a number of other churches and other community groups. In 1965 the building was demolished.